The Council’s many international connections provide first-hand learning opportunities for educators from North Texas and around the country. Our previous educator destinations have been Morocco, the United Arab Emirates, Jordan, Mexico and other exciting places! Each study trip is a teacher’s learning experience that translates into classroom knowledge and inspiration for young minds. The United Arab Emirates (UAE) is often unknown to Americans despite its rich complexity and centuries-old history and cultural traditions. WACDFW and the Embassy of the UAE in Washington, DC will collaborate for a third educator study tour (previously in 2015 and 2017) to develop an educational program to bring context to the American classroom. The study tour will include opportunities for participants to interact with top UAE government officials, visit internationally renowned museums, participate in cultural activities, visit schools and universities, and more! 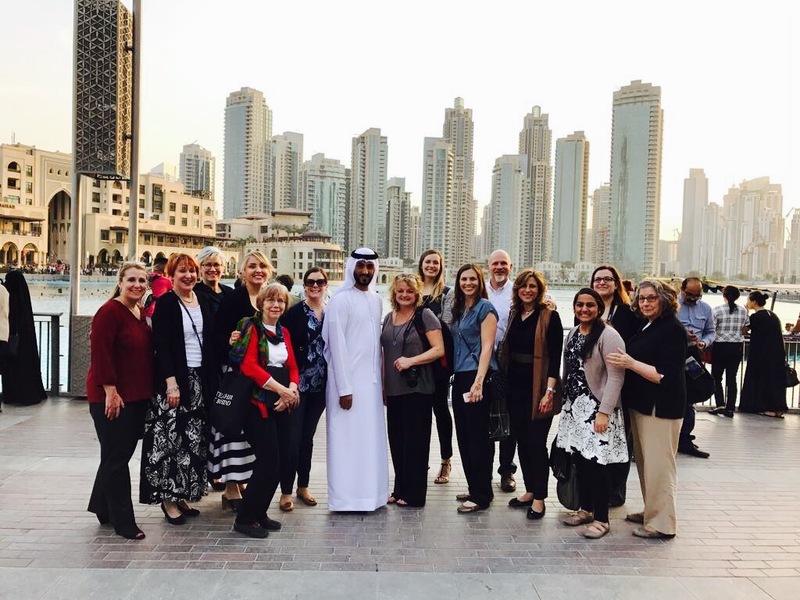 The purpose of the study tour is to forge connections between classrooms in the UAE and USA and provide primary experiences for US educators to engage with the Middle East and bring that knowledge back to their classrooms. The UAE Study Tour program consists of (1) a pre-departure participant workshop for selected participants on Saturday, February 9, 2019, and (2) the 9-day study tour from March 8-17, 2019. Twelve secondary educators from across the U.S. will be selected to participate in this program. Six (6) study tour slots will be reserved for Texas educator applicants and six (6) participants will be reserved for applicants from other regions of the United States. Following the trip, participants will be expected to submit original units created for the classroom to be shared with other educators and students in workshops and conferences.